Product prices and availability are accurate as of 2019-04-02 17:42:19 EDT and are subject to change. Any price and availability information displayed on http://www.amazon.com/ at the time of purchase will apply to the purchase of this product. 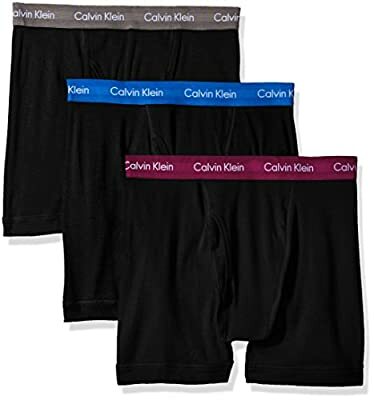 Cotton boxer briefs multipack, classic fit with updated elastic for extra comfortable leg openings and a soft, breathable, durable cotton blend waistband with iconic Calvin Klein logo. 3-pack.